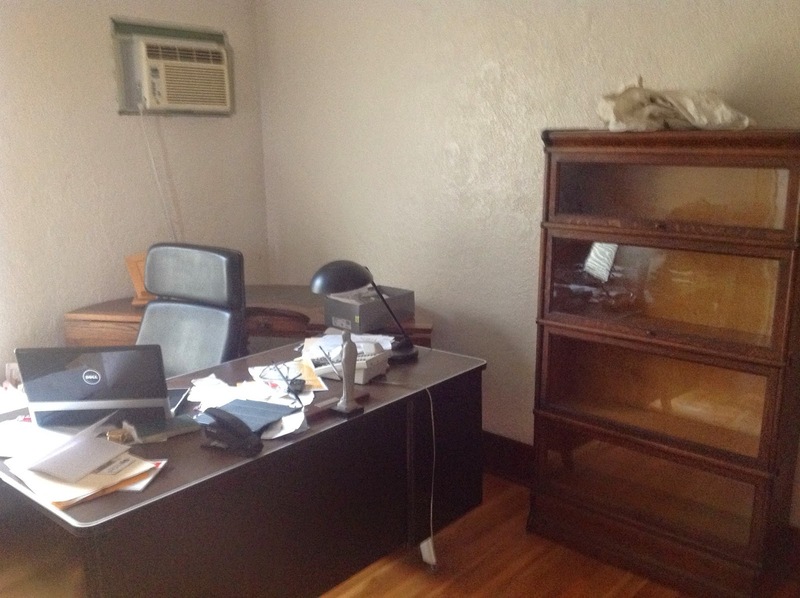 Folks in Russia are aware that the rectory at the parish needed some updates, and is in the process of getting them. So they've been asking how it's going, and am I comfortable? First, I'm fine. I have everything I need for now, and I'm looking forward to how nice the house will be when all is finished. -- Some updates in the kitchen and bathrooms (complete). My office, where the magic happens. With both some electrical work underway, and insulation still to be blown into the walls, we haven't hung up any artwork or put books on the shelves yet. 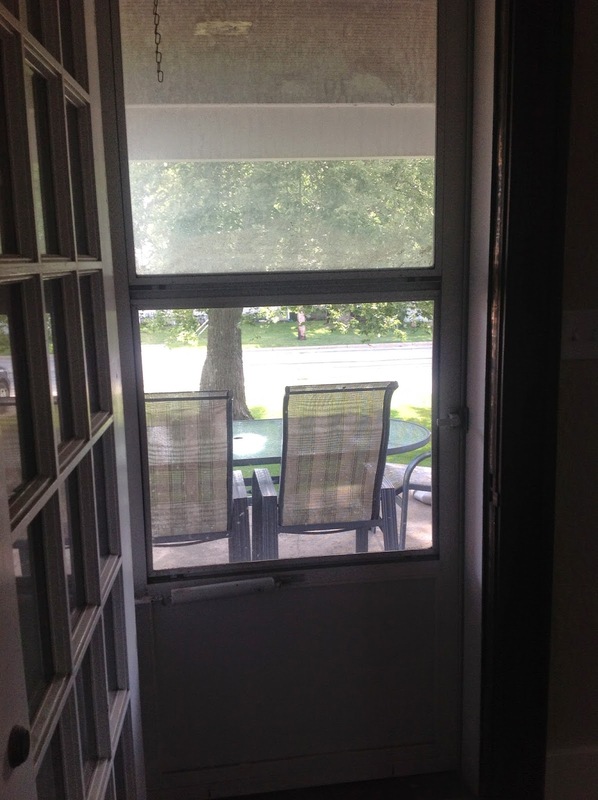 Side porch with new patio furniture! Well, new to me! A parishioner donated it. I like that! Here's the dining room. Doesn't the floor look great? Since I took this picture, some of the rewiring has taken place; unfortunately, the light fixture needs to be replaced. The wiring was dangerous, and rewiring existing fixtures can be a headache. The walls are also slated for painting soon. Ed hard at work on the rewiring. Kitchen: mostly complete. A little touch-up needed in a few spots. 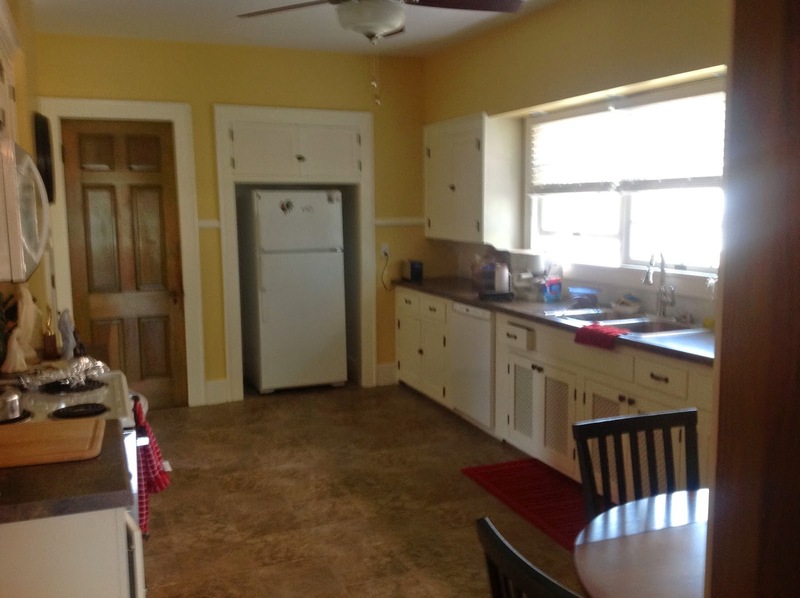 They built some new cabinets and spiffed up the existing ones; I think many of the fixtures are new, and the table and chairs too? My bedroom. 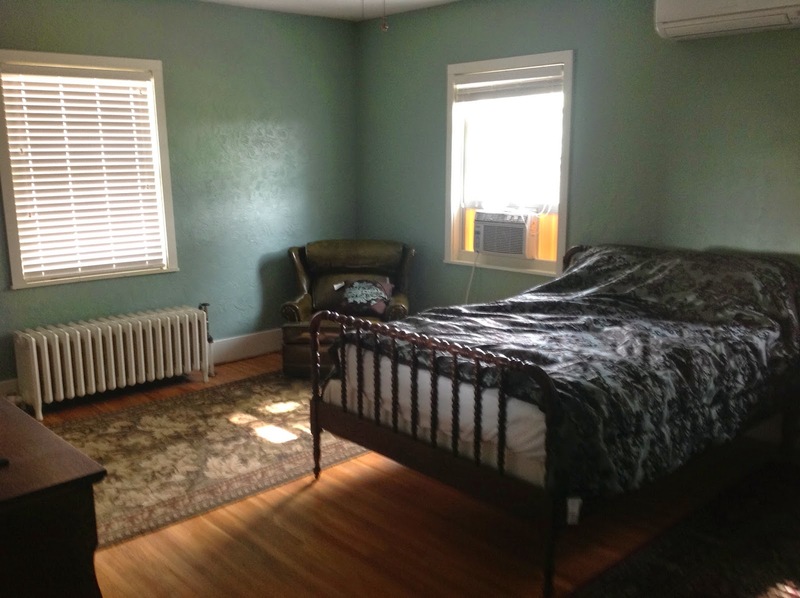 Since this was taken, the window a/c was taken out, as a wall unit was just installed above the bed -- you can just see the edge of it. When everything is finished, I'll hang some pictures. You can see I made my bed! 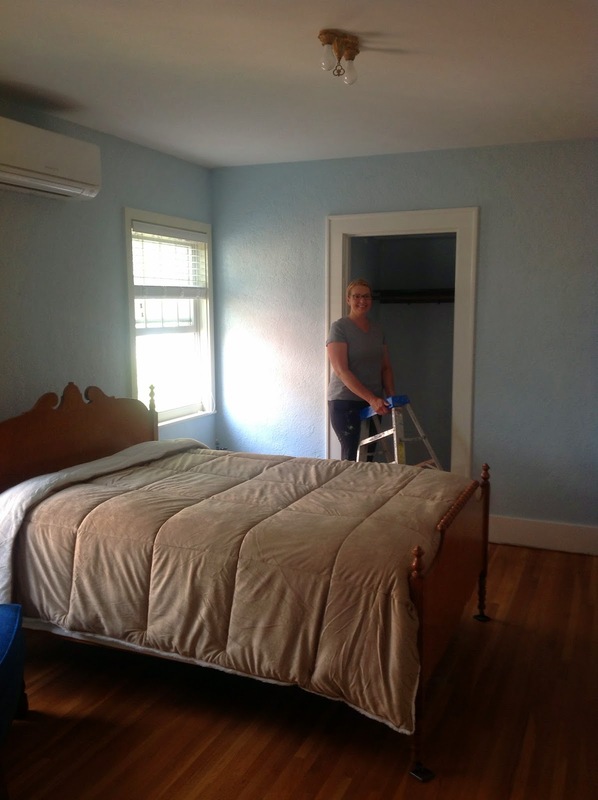 Here's the guest bedroom, with hardworking parishioner, Bonnie, working hard! 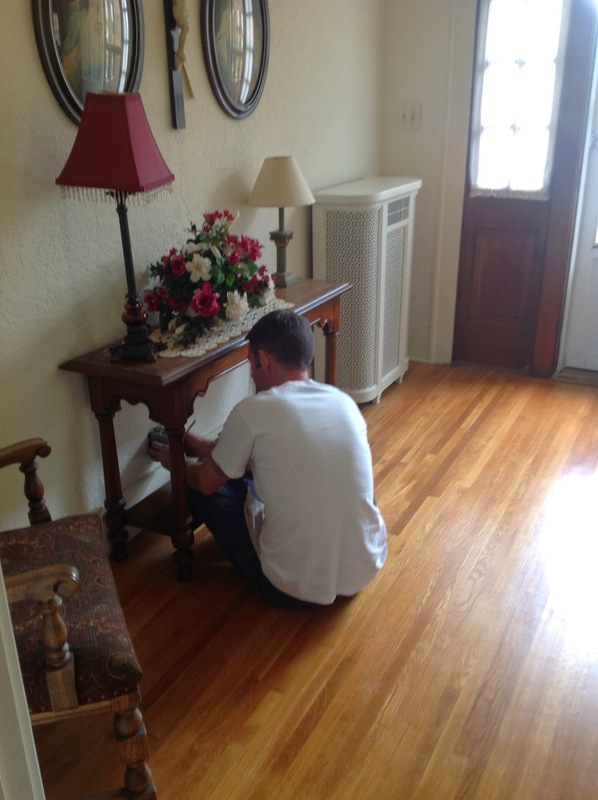 We just finished the painting; after the re-wiring is finished, we'll kit it out for a visiting missionary next weekend. 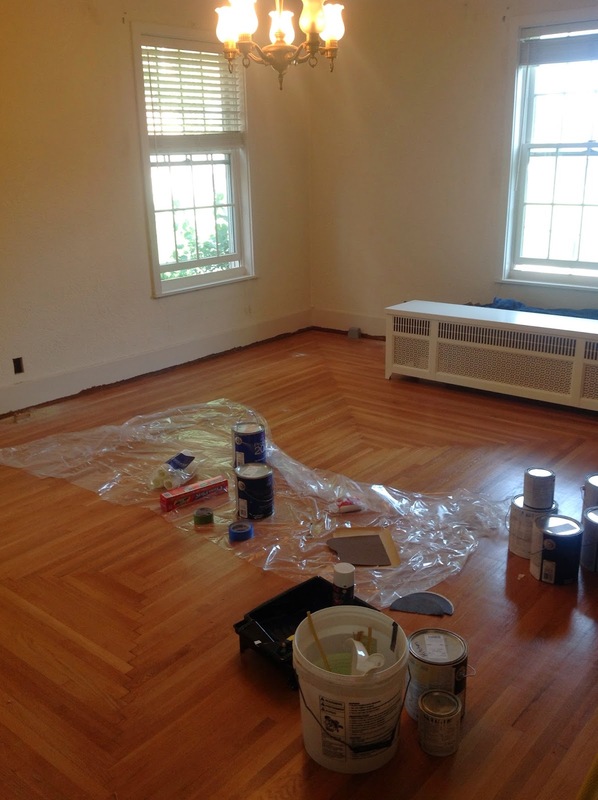 Here's one of the other three bedrooms that will ultimately be painted. 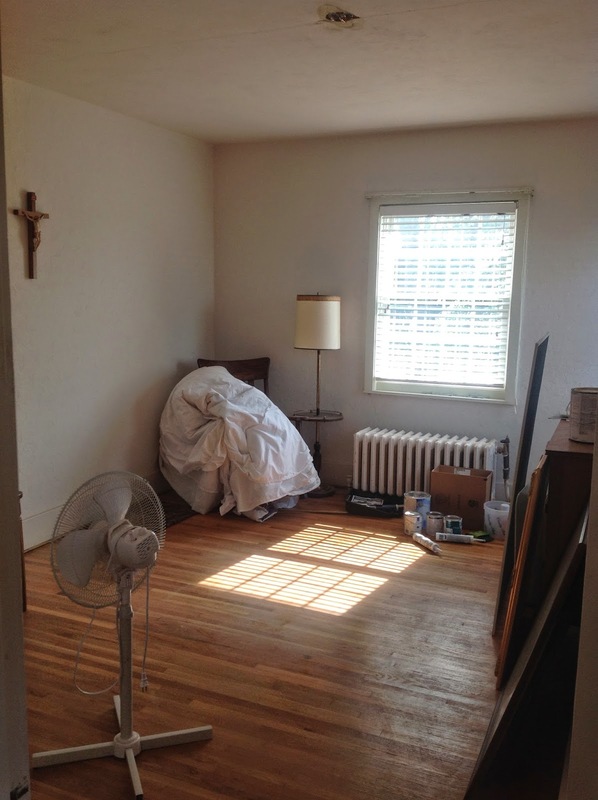 We have tables and lamps and other furnishings, but we will need some items eventually -- especially if I have a seminarian or two stay in the parish next summer. However, I would rather wait for garage sales or other opportunities that have a way of showing up. Meanwhile, the concrete work outside church is underway. 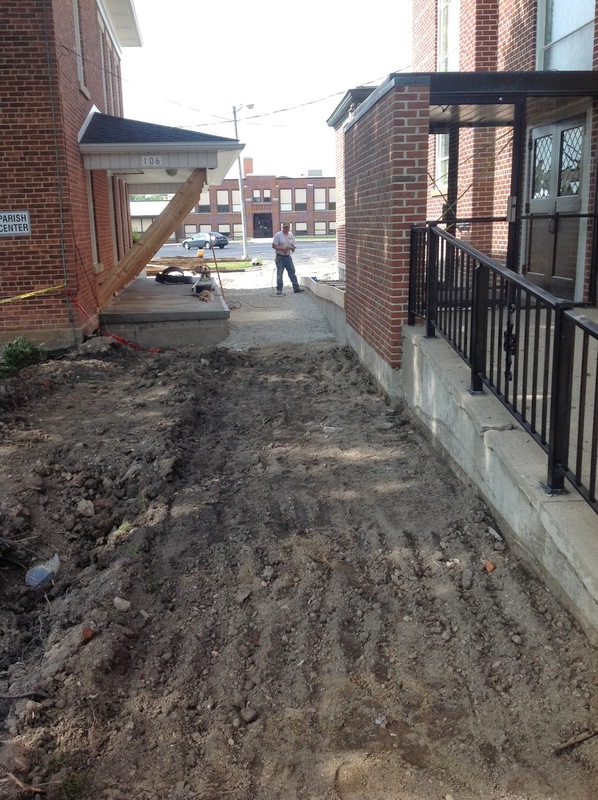 You can see the new handicap ramp being completed -- it will be a gentler slope than the older one in front. The older one will remain, but will get a new cap. No doubt! But the cost of hauling it all from Cincinnati...ow!